HÀ NỘi Viet Nam News -— The Ministry of Health has set a target to reduce the rate of deaths caused by dangerous infectious diseases in the 2016-20 period. The target was announced by the ministry’s head of Planning and Finance Department, Nguyễn Nam Liên, at a conference yesterday. The national programme on healthcare and population for the 2016-20 period include eight major projects aimed at preventing and controlling dangerous infectious diseases. The projects include expanding vaccinations; population and development; food safety; HIV/AIDS prevention and control; safe blood and blood-related disease prevention and control; and media management on healthcare. “The main aims of the programme are to prevent disease spread and epidemics, and to reduce the infection and mortality rates of some dangerous infectious diseases to ensure public health,” Liên told the conference. “The programme will also engage in supervising food safety, as well as ensuring safe blood transfusions and preventing some blood-related diseases,” he said. Over the next five years, the healthcare sector will also focus on reducing the HIV/AIDS infection ratio in the community, he added. 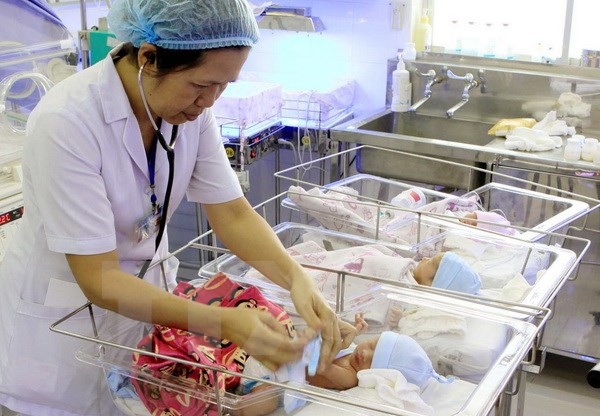 In terms of population issues, the healthcare sector will carry out measures to maintain a stable birthrate and increase population quality, as well as enhancing healthcare services to people in border and island areas, Liên affirmed. By 2020, the national healthcare programme will be promoting information dissemination among health workers and people working in disease control. Yesterday’s conference was a chance for the health ministry to review its work between 2011 and 2015. During this period, the ministry was assigned to carry out four national programmes covering public heath care, food safety, population and family planning, and HIV/AIDS prevention and control. So far, the rate of dengue fever infection has dropped by 18 per cent and the mortality rate was lowered to under 0.09 per cent. Also in this period, health checks for high blood pressure were implemented in nearly 1,200 communes nationwide. Through these activities, more than two million patients aged 40 or over were given a health check service. The sector maintained the rate of 90 per cent of under one-year-old children being vaccinated. The quality of population was enhanced thanks to the population and family planning project. Under the project, people in 5,700 communes that had a high birthrates were provided family planning services. The project also provided free contraceptives to people in remote and poor areas. The healthcare sector maintained a ratio of HIV/AIDS infection of under 0.3 per cent of the total population. The system of HIV/AIDS prevention and control nationwide was also further strengthened. The budget for HIV/AIDS treatment has increased three times since 2013. “People were aware of the importance of disease prevention in public, which helped to lower the rates of infection and mortality caused by dangerous diseases, as well as reduce the risk of disease outbreaks,” Liên said.